How stunning is this raspberry lemon cake?! Don’t you just want to dive in and take a huge bite of this incredible cake? 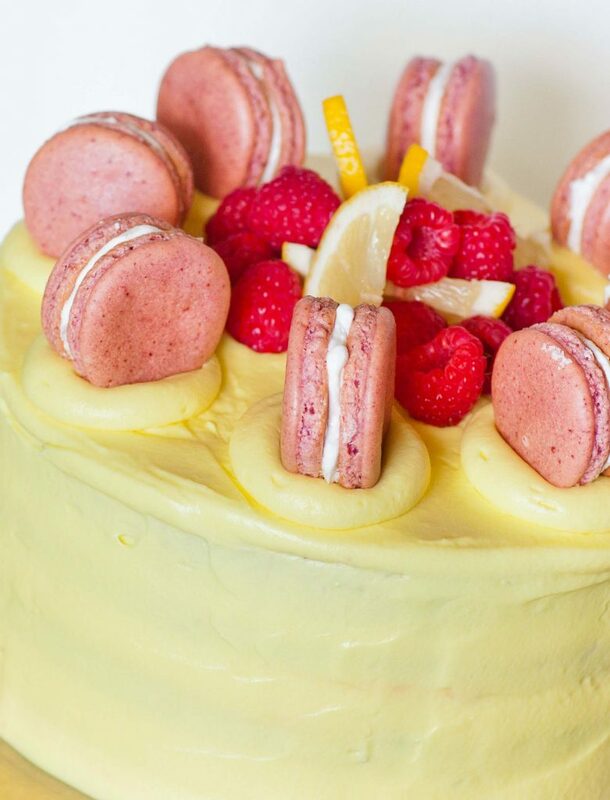 This beauty is made with delicate white chocolate layers, raspberries, lemon curd, lemon buttercream and for that finishing touch, some home-made raspberry macarons! 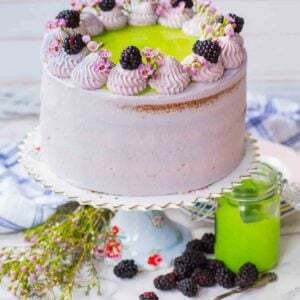 This show-stopping cake brings together sweet and tart flavors, creating a delightful symphony in your mouth! 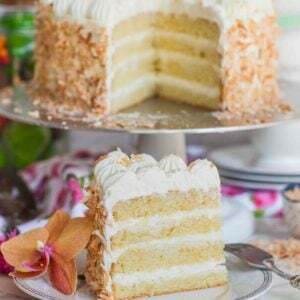 The white chocolate cake layers are really somethin’ else! They are so tender and delicate, thanks to the addition of the white chocolate. It adds both moisture and flavor to the layers. The delicate layers are then filled with an alternating combination of crushed, sweet raspberries and tart lemon curd. For this recipe, I used store-bought lemon curd but you can also make your own and use it for this recipe. All that deliciousness is frosted with an equally amazing zesty lemon buttercream. To make the buttercream extra-tangy without adding too much liquids, I added citric acid to the mix. 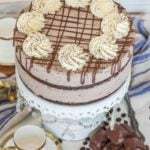 This buttercream really helps balance out the sweetness of the cake and takes it to a whole new level. If you’re craving for some raspberry lemon-flavored dessert, this cake has your name written all over it! Preheat oven to 350F. Line 2, 8-inch cake pans with parchment paper and spray sides with non-stick spray. In a large bowl, whisk together the softened, melted butter with sugar. Then add eggs, vanilla and lemon juice. In a separate bowl, combine the flour, baking powder and salt. Gradually sift in the flour using a fine mesh strainer/sifter, alternating with the milk. Whisk until batter is smooth. Melt the chocolate chips in the microwave or over a double boiler; add 1/2 teaspoon of shortening if chocolate is not smooth. Fold into cake batter. Divide cake batter evenly between the two pans and bake in preheated oven for 30 minutes, or until toothpick inserted into center comes out clean. Remove cakes from pans and cool completely on cooling racks. 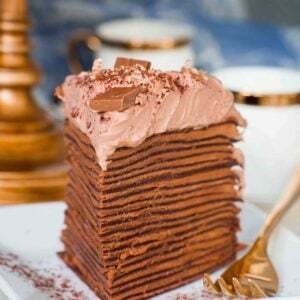 When cooled completely, split cake layers in half using a long serrated knife. 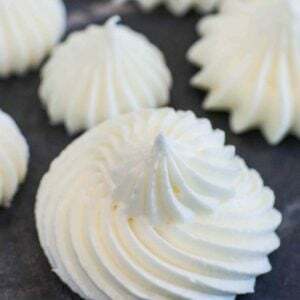 Prepare the butter cream: whisk butter in mixer bowl on high speed for 5-7 minutes until light and fluffy. Add the cream cheese and whisk to incorporate. Add the cream, food coloring, vanilla, citric acid and a pinch of salt. 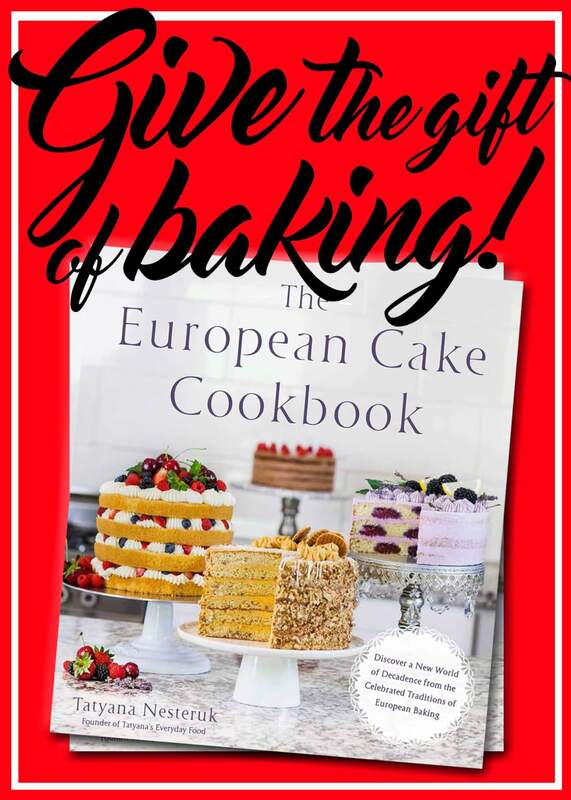 Gradually add the confectioner's sugar until frosting is thick. Crush the raspberries on a bowl until a sauce forms. 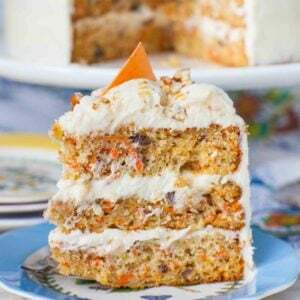 To assemble cake, spread a generous amount of frosting between each layer. Spread the crushed raspberries onto the first and third layer. Spread the lemon curd onto the middle layer. Frost the outside of the cake with a thin crumb coat and refrigerate for 30 minutes. After the crumb coat has set, finish frosting the cake with the remaining frosting. 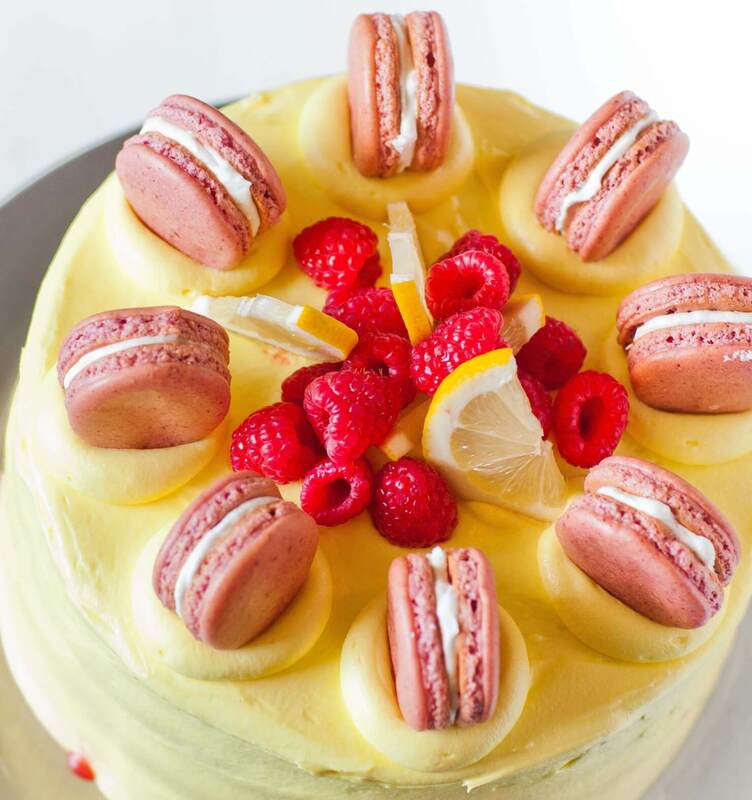 If desired, transfer 1 cup of frosting into a pastry bag tipped with a plain, round top and add dollops onto the top of the cake, and top with macarons, fresh raspberries and lemon wedges. Refrigerate for 4-6 hours until cake is set. 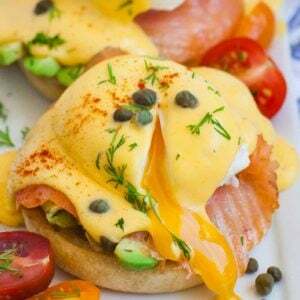 Remove from refrigerator 30 minutes before serving. HOMEMADE LEMON CURD (optional): Place 1 large egg, plus 2 egg yolks, 1/2 cup white granulated sugar and 1/3 cup freshly squeezed lemon juice into small saucepan. Whisk just until well combined and then cook over low/medium heat, stirring constantly with a rubber spatula until mixture has thickened into a smooth curd, about 7 to 8 minutes. Remove and whisk in 1/2 cup butter right away; whisk until butter has melted completely. Transfer into a small bowl, cover and let cool at room temperature. I’ve made this three times now and my cake has broken on top each time. Any suggestions?? This is the perfect cake recipe for my nieces wedding cake. I live above 6000 ft and was wondering if I used spring cake pans would that be better than the normal cake rounds. I do have a confection oven. Should I bake at a lower temp? Looks delicious. I’m thinking about making it for my sisters birthday. 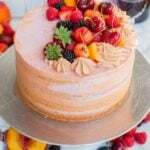 Awesome cake that is always a hit! Only thing is I always have to make a double batch so I can half 4 layers. It just doesn’t rise. Any thoughts? Thanks for this delicious recipe! I made it and my cake layers were really flat. I couldn’t even cut the layers in half. So maybe it was the baking powder? 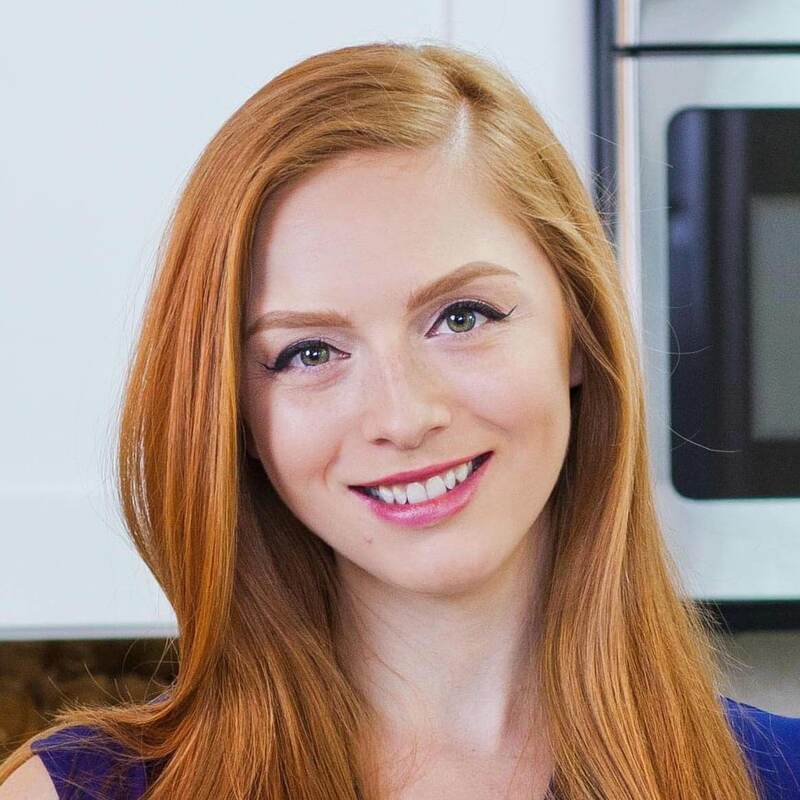 You should do a Q&A live show so we can ask you questions about some of the nuances of baking. I have just made this cake, double mixture baked in 9″ pans, I didn’t have to split the cakes just trimmed the tops. It was quick to make and no special equipment, just a bowl and whisk! No fresh raspberries here in NZ at the moment so made a coulis using frozen raspberries. I took it to work for my birthday morning tea and the comment was made that it was the best cake I have ever made! (and I do ALOT of baking) Will definitely making again. Thanks for sharing! Made this cake several of times and I love it. 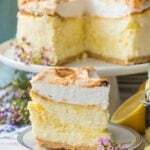 My favorite cake, thank you for sharing this recipe.